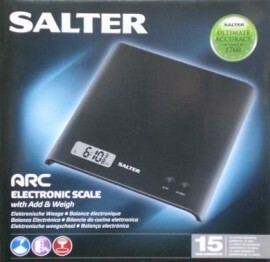 Salter Digital Scales which are capable of weighing up to 3 kg at a resolution of 1 gram. Tare function to zero container being used. Weighs in both metric and Imperial units and can be switch between these units while weighing to convert from one to the other. Uses a lithium battery which is supplied. Ideal for weighing out small quantities of rubbers or resins and their catalysts.